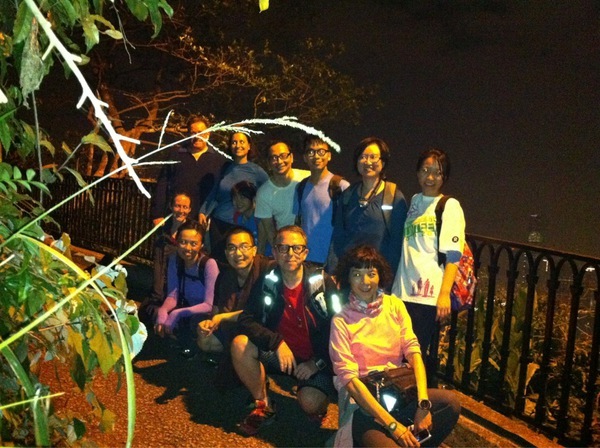 A few weeks ago I went on a night hike from Admiralty to the Peak – and it was quiet an easy hike on a paved road, so I decided to repeat it with my parents. 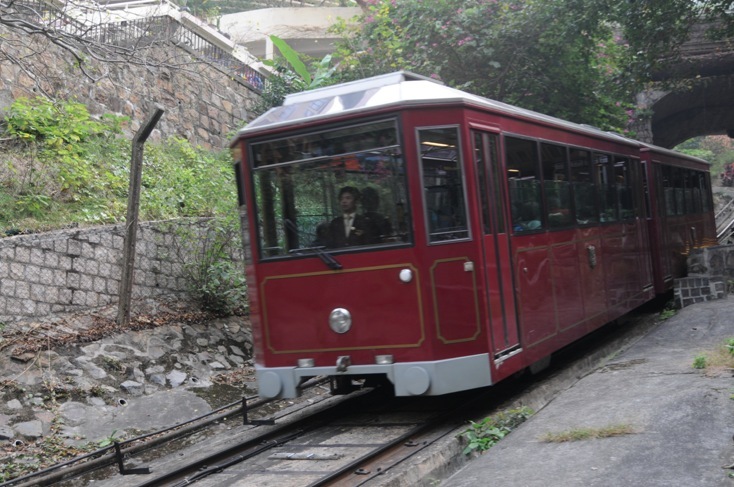 We started at Admiralty too and walked past the Peak Tram station at the bottom. 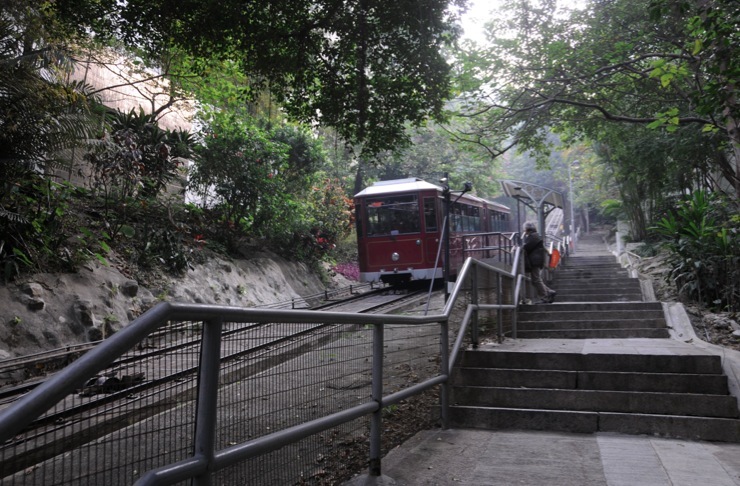 We followed the steps upwards, walking past the MacDonnell Road tram stop and continuing to climb uphill. The first part of the walk is next to the tram, so we kept seeing it going up and down. 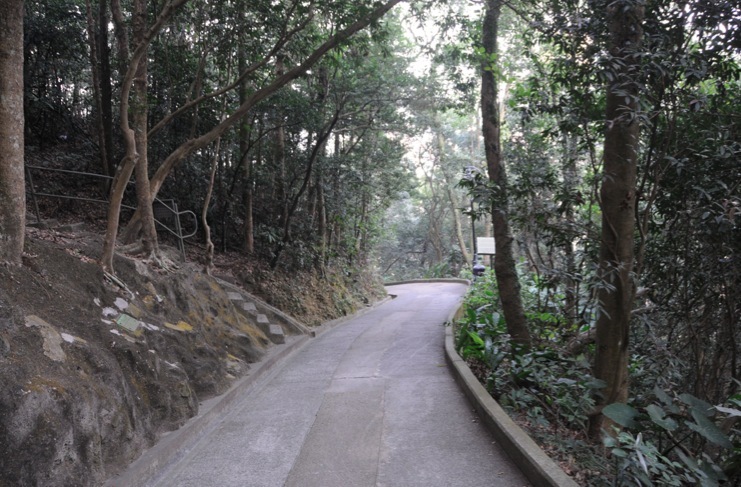 The trail then cuts through residential complexes until it hits the Old Peak Road. From there it is steep up hill, on a tree-shaded paved road. The hike goes 30 mins upwards on a fairly steep road with an amazing view starting to appear to the right side of the road. The walk continues until you can decide to turn left to the look-out point and peak tram, or to the right up the Peak. We continued to the right, walked past the Peak Gallery and shops, and then walked around on the Morning Trail. That’s another paved road, but it is flat and it takes you around the Peak. 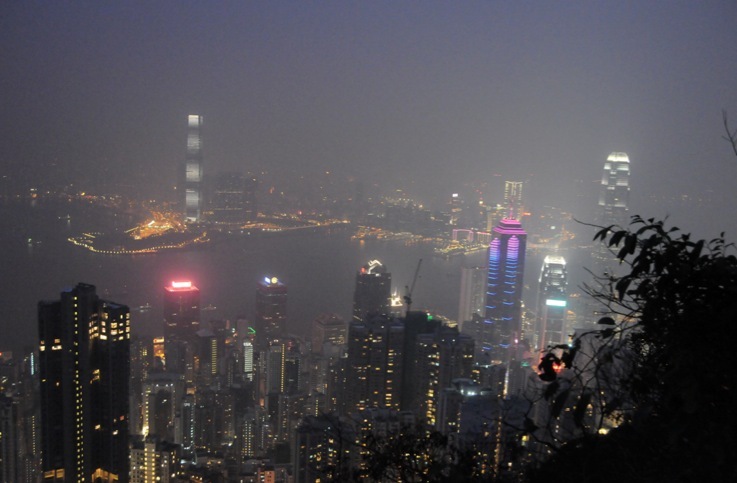 So depending on where you start, you can first see Aberdeen (that’s what we did) and Lamma Island in the background. 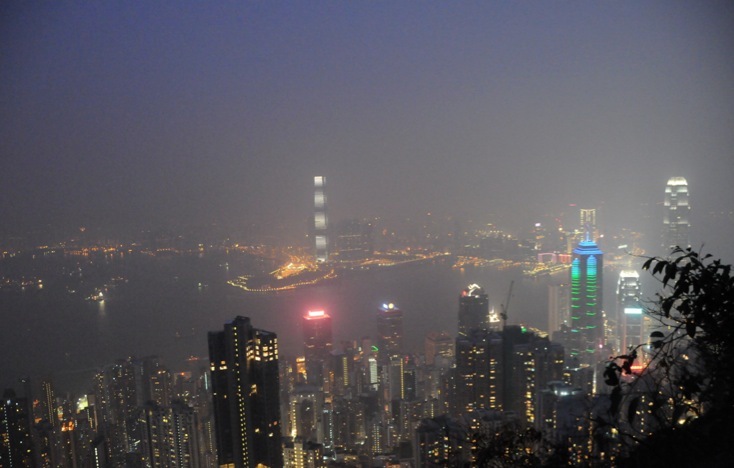 Then you go past Kennedy Town and Sheung Wan and suddenly Central and Kowloon appears below you. 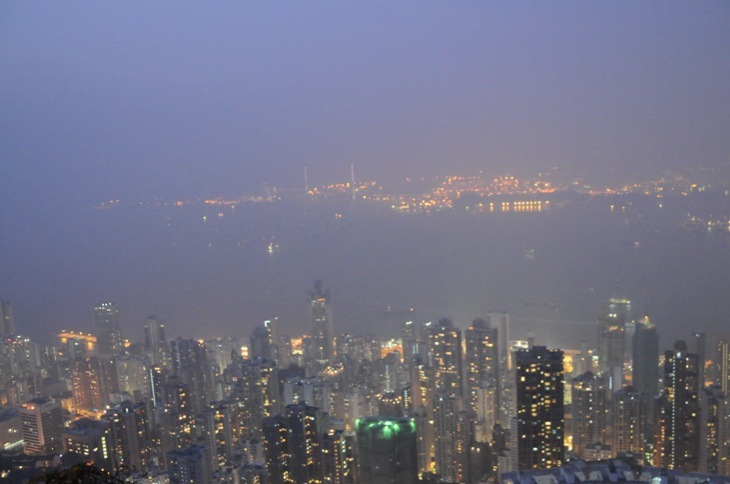 Depending on the day the nightsky might be very clear and you can see the Stonecutter’s Bridge, Lantau Island (the lights of Discovery Bay) and Peng Chau, but unfortunately on the day we climbed up the Peak, the weather was a little too foggy. 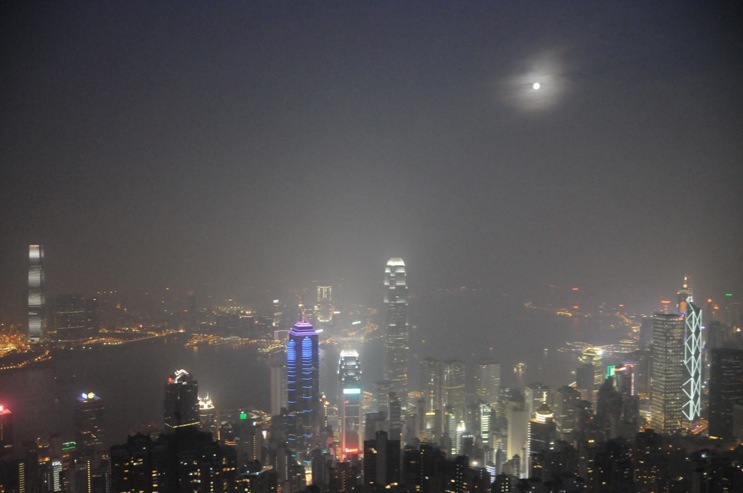 Still, we had an amazing view over the city centre and Kowloon with an almost full moon guiding us in the darkness. 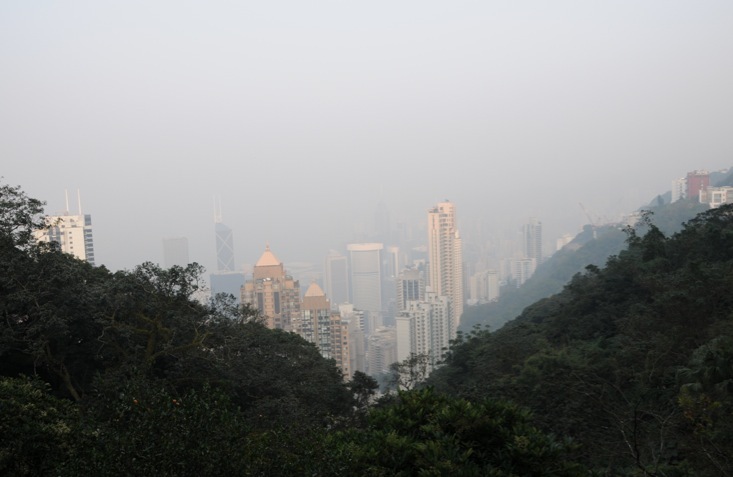 A beautiful walk, although it does take around 1 hour (with some breaks) to climb from Admiralty MTR to the Peak and then another 45 minutes to walk around the Peak (of course, depending on the speed, but we walked a little faster but stopped for pictures). 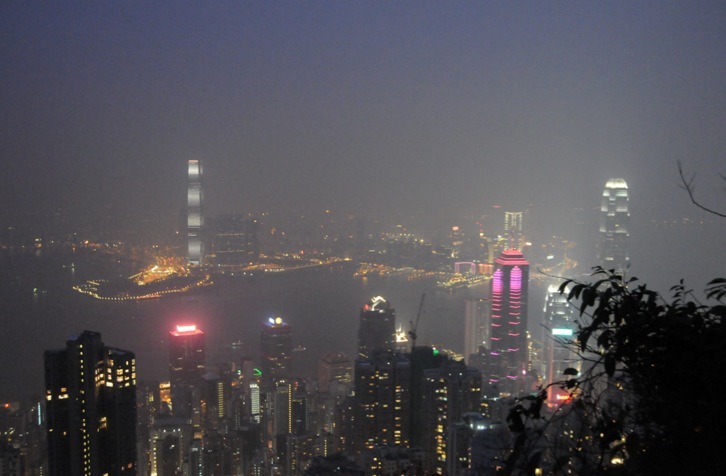 A cool way to visit the peak. I love those tall skinny condos located at the mid levels.